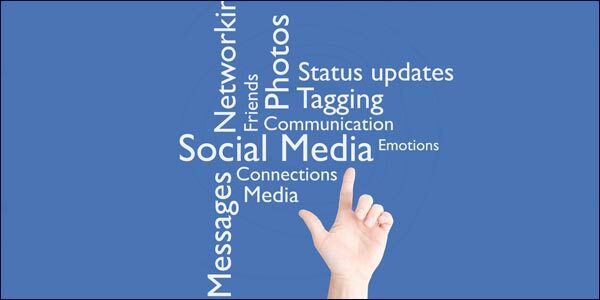 How To Market Your Business More Effectively Through The Social Media? Posted on 18th July 2011 at 08:40. Most businesses these days are wise to the potential of the social media. They know that if they use Facebook, Twitter or LinkedIn effectively, they can build up a network of loyal customers, maybe attract a few new ones, interact with those who are interested in the services or products they offer, and hopefully put a few more pound coins in the coffers. So, we all know why we need to have an effective and workable social media marketing strategy, but how many businesses have really thought it through properly? How many have sat down and analysed not just the market they want to appeal to, but formulated a plan about how they are going to achieve these goals? Well, you may be surprised to discover that not that many have. Isn’t it about time your business gave this matter some serious thought? It might seem like a lot of bother on the face of it, but you should remember that internet marketing pulls in £527 million per week according to the latest figures from the Office for National Statistics: a great deal of this business is earned through the social media, and, what’s more, the platform is growing exponentially. Just think about all the potential customers you could be missing out on, simply because you haven’t honed your social media marketing strategy? So, how can you appeal to as wide an audience as possible? Which social media strategies are likely to attract the largest audience? I know I’ve said it before, but Kevin Costner was wrong when he said build it and they will come: they won’t – well, not until you give them something to come for. Too many businesses set up Facebook and Twitter accounts and then leave it at that. Even if you’re lucky enough to attract viewers they will only come back if you provide interesting and worthwhile stuff to look at. What your business needs is quality content in your social media updates and posts. You should include everything that is both relevant and interesting like videos, pictures, news stories and any special offers that you might be running. Updates – How many is ‘too’ many? If you don’t post content or updates on social media sites, your profile will effectively vanish. So, the obvious lesson to be learned from that is that every business should post as regularly as possible. However, don’t overdo it: too many updates will damage your business just as much. Nobody likes to be bombarded with updates. All these do is make viewers weary of you and what you have to offer. Stick with the principle less is more, but don’t put too much emphasis on the ‘less’. All you need is a sense of balance. Social media platforms thrive on interaction. It’s this that makes them special. We all love to feel that we are part of something, and that we belong. So it’s your job as a social media marketer to encourage this interaction by stimulating debate and engaging with your fans or followers. The more engaged a community feels, the more likely it is to buy into the whole brand identity. That has to be good for the economic well-being of your business, hasn’t it? Unless you’re lucky enough to work in a very limited niche market, you’ll always face competition. It’s the same on social networks: there’ll always be competitors trying to grab the same customers you are. Don’t ignore them, but instead watch what they do differently to you, and, if necessary, learn from it. Whatever you do, don’t have a pop at them or insult and belittle them. They will obviously bite back, but the worse part is your own fans may turn against you if you get up to tricks like this. Just play it with a straight bat, and you’ll be fine. Do you know how effective your social media marketing campaigns are? How many of your SMM updates result in clicks to your website? How many of those result in converted sales? How are your SMM updates being discussed and shared? No? Well you should do really. These are the type of questions you should be asking. If you analyse the metrics you’ll know what works and what doesn’t. Just make sure you constantly evaluate your SMM strategies, and change them if necessary. Don’t try to follow trends and fads with your SMM updates. Many business bloggers and social media strategies simply try to repost or recycle something else that is the current most popular thing. Try to avoid this if you can and just be yourself. If you’re passionate about what you do, then your audience will spot this sincerity. If they feel you’re giving them something of value or something of yourself, then they’ll stay loyal to you and your brand. Facebook Launches Skype Video-Chat Link Up.Google Research Releases A Report Which Throws Light On Its Efforts To Improve The Search Results.